During Grijalva’s tenure on the Board the racial tensions in the District have been elevated. Grijalva, and her father, Congressman Raul Grijalva have gained power by stoking division for years. As a matter of fact, it is widely known that president Grijalva does not want the District to achieve Unitary Status because doing so would eliminate the funding provided for the process of integrating segregated schools. Once integrated, the generous funding dries up. Grijalva, and the District’s superintendent H.T. Sanchez have fought a bitter battle with the plaintiffs and Board members Michael Hicks and Mark Stegeman Ph.D., to prevent integration. Tch. The Blacks in this city haven’t yet learned that (to the Grijalva gang) they are no more than “White Africans” – and therefore of no account. If you ain’t brown, you ain’t down. This article is entirely correct that, despite all their verbiage, it is clear that many in TUSD’s leadership do not want to finally to achieve Unitary Status on desegregation because there are incentives for maintaining the status quo…about 80 million of them a year. 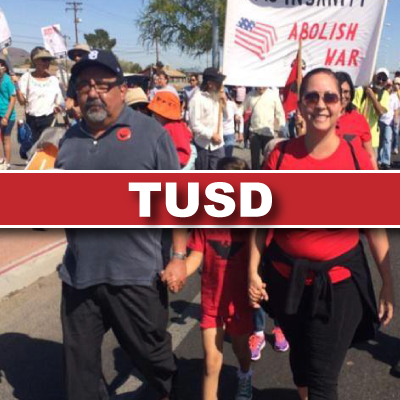 TUSD gets about $80 million dollars a year in extra taxes from local taxpayers supposedly to fund efforts to raise achievement among ethnic minorities within TUSD. But, because of the perverse incentives for keeping TUSD’s ethnic minority students achieving far below their potential, the money is almost never spent in ways that would actually enhance student learning. That explains why, over the past three decades, the billion and a half dollars of desegregation money was spent on everything but improving student learning. Did TUSD need a new gym at a high school? Deseg money was used to build it. Did TUSD need a few new trucks? Deseg money was used to purchase them. 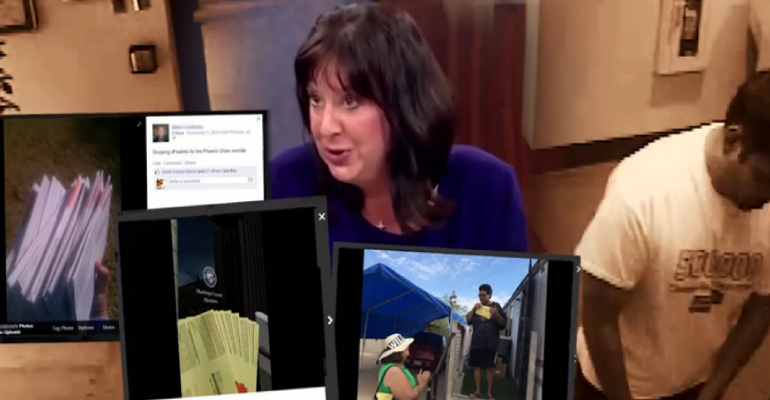 Did some TUSD leader have some political pay-offs to make? By golly, there was always deseg money to create new administrative positions for that purpose. The one place that money was almost never used was, not coincidentally, the one place it might have actually improved student learning…TUSD’s classrooms. Ahhhh, she would never do that. She is the best person in the world just ask her and she will tell you. Anti black and pro brown? Are you kidding me, she is a Grijalva, just look at the toad. Is there any other race of people on this planet other than brown? Thought not. If you can stomach it read the letter in today’s ADS from Grijalva’s two fawning sycophants recommending her retention on the TUSD board. Disgusting. Voting will never rid us of any Grijalva. Can’t be done. It will take Ebola to get rid of this family. That’s a very good point, JSH. We can dream, can’t we? Adelita uses kids as pawns for her political aspirations. It is clear she has had a great mentor but if I hear the good ppl of TUSD correctly, it time for an end to Adelita reign? Right I hope. Vote my fellow Tucsonians and pima county residents. Do what you think is right for ALL students at TUSD. It’s time to end all the Grijalva’s living off the taxpayer trough. Get ’em both out. Close TUSD. It would be their fault. Just close it.